Roy Keane has written about his time at Portman Road. Susan Gardiner took a quick look and these are her first impressions. I did wonder whether Roy Keane would say very much about Ipswich Town in his new autobiography, The Second Half, co-written with Irish novelist, Roddy Doyle. I enjoyed his previous book with Eamon Dunphy (with whom he later fell out. Obviously.) and I felt some sympathy with him when he came to Ipswich – here’s a man who will never be able to build a career away from the cameras, journos and their tiresome ringing mobile phones, and keyboard warriors high on male pheromones – but that has been severely strained by a quick glance at the relevant chapter of the new book. Given that I don’t have the context of the entire book, it wouldn’t be fair to comment too much on Keane, the man – although it’s hard not to. This is the tone of the section I’ve read: slightly regretful, mea culpa, I should have accepted the situation and have done my best with it. But I don’t buy it. 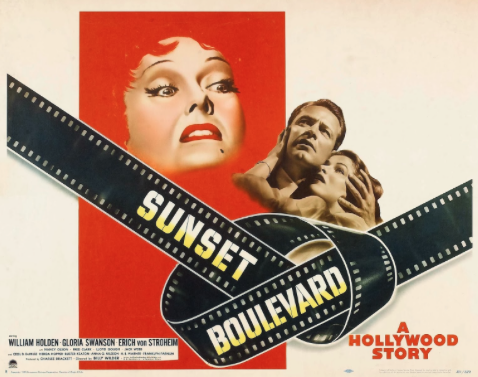 It seems to me that, at Ipswich, he felt like Gloria Swanson, playing the ageing Hollywood star, Norma Desmond at the end of Sunset Boulevard (“I am big! It’s the pictures that got small.”) He moans about his office, “like a school prefab,” and it makes me long for the humility of an Alf Ramsey or the pragmatic cheeriness of a Bobby Robson (“good fits”). The question springs to mind: why was Roy Keane appointed at all? What was in Marcus Evans’ mind when he (presumably) decided to sack Magilton and replace him with this man? Magilton was not doing particularly badly. In retrospect, it seems very harsh that he was sacked and, although we’re happy to have Mick McCarthy, I do wonder how well Magic Jim would have done, had he had the time to build a team. The only explanation that I can come up with for the arrival of Keane is “publicity.” And he definitely created huge opportunities for a certain grey and white logo to be displayed all over Britain’s press and TV screens. He wanted to physically attack Pablo, and his bust-up with Walters is the stuff of legend (vomit selfie, anyone?) but what he says about selling Rhodes is interesting, at least to me because I always suspected that was a club decision rather than Keane’s and he confirms it. Most interesting of all are his revelations about CEO Simon Clegg. And that there was never an occasion when he, Clegg and Evans were ever in “the same room together.” His comment on Clegg (“This is the face you have got”) being answerable to Marcus Evans rather than working with the manager rings true and it’s perhaps one thing that we can be sympathetic with Keane about. Roy Keane wasn’t blessed with players of the ability of Beattie, Mariner, Wark or Mills, and it’s arguable that things may have been different if he’d had a different kind of owner and chief executive to deal with. In many ways, Keane was a symptom of the changes made to our club’s character in recent years rather than the cause of our problems. Let’s hope that in Mick McCarthy we now have someone able to deal with that, yet retain respect for the nature of our club. The Second Half by Roy Keane and Roddy Doyle (Weidenfeld & Nicolson 2014). Borrow it from your local public library, they need your support. This entry was posted on Tuesday, October 7th, 2014 at 6:05 pm and is filed under Football, Ipswich Town Football Club. You can follow any responses to this entry through the RSS 2.0 feed. You can leave a response, or trackback from your own site.